Is Event Based Niche Blogging Worth Trying (in Future)? Home » Is Event Based Niche Blogging Worth Trying (in Future)? A few days Ago, I have written a Comprehensive Guide to Event Based Niche Blogging, where I explained the ways and methods to get success in this different era of blogging. But with all those methods, there are questions come in every person’s mind, who start event blogs, which need to be answered to solve their present problems or the problems they might face in future. Common Problems in Event Based Niche Blogging and the solutions? Feel free to ask any Question Via comments? Good Questions will be included in this post and I will answer it briefly. Yes, Of course, it is about money. The Idea of Event Based Blogging came to earn quick cash in a short span of time. People use to start a blog 5-7 days before the event and then able to earn a good amount. But with the time, more and more people are doing event blogging which certainly increased competition. As a result, the use of black hat technique like Keyword stuffing incredibly increased, The majority is filling articles with keywords, copying paragprahgs and then, trying to earn, which is not the way to do. When it comes to writing content on Event based niche blogs, majority users think, they can copy content or just fill articles with keywords and then, earn. Indirectly, they are just killing this version of blogging. By ranking spammy articles higher, they are just catching Google’s eye and eventually asking them to stop this non-sense. They will surely Hunt down the event blogging, if you continued. So, what I want to say is, You can even write unique articles and rank. You will still earn the similar amount if you provide quality on your event blog. This will prolong the event based niche blogging and will help you make money for a long period of time. Well, Backlinks are necessary to rank event based blogs. So, I will not say, stop doing this, Because without the bulk of backlinks, you will be able to rank high competition keyword. The only thing I will suggest you, to start your event blogs 1-2 months before the event and make backlinks in a systemic way (in10-15 days, instead of 1-2 days). It will always be the better option for you, because I have many failing in Niche blogging, even after trying so hard and the majority of them starts their blogs 7-10 days before the event. I am not saying, you can’t rank on the first page in 7 days, you can, but majority times, only experience guys can rank, newbies always find it difficult. So, for them, this systemic way of creating blog 1-2 months before the event and building links is the best way to get success. As you all know, everyone is trying to earn quick money from niche blogging. So, the level of competition has certainly gone up. But the thing is, only few blogs can rank on the first page because there are only a limited number of positions. Everyone blogger can’t earn big money, For Example, if four top class bloggers are trying the same event, then only 1 of them will rank on 1st position. Others will have 2nd, 3rd and 4th positions. Remember this is just the example, In reality, Hundreds of people are trying their hand in event blogging. So, only few of them will succeed. So, what will be the solution of this problem. Well, There are two solutions. First is, You can go for events which are still not popular, because they can only help you earn some hundred dollars. Bloggers are only interested in events, where they can earn thousands, not hundreds. So, you can go for those low intensity events or you can go for the second solution. Which is, You can quickly Audit your competition a month or 20 days before the event and then try to beat by writing unique and creating more backlinks. I personally love this method and I am sure, you will also love it. Well, with so much of competition, everyone is trying to get thousands of links from Response sites, Dofollow commenting systems, auto-approve commenting systems, which resulting in everything getting blocked, Authors removing dofollow attribute from their commenting systems. So, that’s why the majority of event bloggers is failing to get backlinks, especially the quality backlinks. So, what will be the solution of this problem? Well, I already provided the best solution, that is, start your link building campaign a month or at-least 20 days before the event and don’t try to submit spam comments or spam links. Do it in a professional way, I mean little professional attitude towards link building will ensure that, you will not face these problems in your campaign. 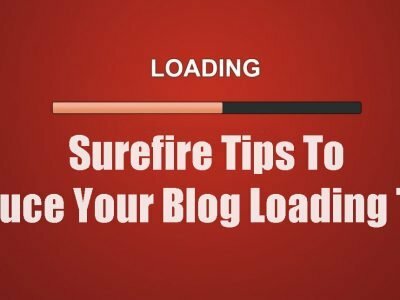 But if you are not willing to start a month before the event, then another solution will be, to get site-wide links from regularly updating blogs or sites having good authority according to Google. This way you can rank nay blog within 7-10 days, but remember it is the riskiest way of doing so, because the Google spam team can put a manual penalty for building too many links too quickly. But it totally depends on your luck. So, it depends on you, which solution you like. So, these are some problems, you might face in Event based niche blogging. I personally thinks that event based niche blogging worth to the clients to generate traffic to their sites and also should need to be encouraged. I did event blogging 3-4 time earlier but fail to earn good income. After reading your article i get to know about my mistake that i did event blogging on high paying event like Valentine’s Day, New Year and experience also matters to rank a event website. Now i will try my luck on that event which is not so popular.